Free software projects often fly under the radar: they rarely have a marketing budget, so word of a great project often relies on word-of-mouth within the free software community, especially in a project's early years. Yet we all know there are some truly amazing free software projects out there. That's why the Free Software Foundation and the GNU Project have presented the Free Software Awards for nearly two decades, honoring people and projects who have advanced the movement or created free software programs that serve crucial societal needs. Nominations for the 18th annual Free Software Awards opened at LibrePlanet 2015, right after the most recent Free Software Awards were presented -- and we need you to nominate more projects by November 1st, 2015 at 23:59 UTC. To nominate an individual for the Award for the Advancement of Free Software or a project for the Award for Projects of Social Benefit, send your nomination along with a description of the project or individual to award-nominations@gnu.org. If you know a free software contributor or project that deserves celebration, don't hesitate to nominate them! This is your opportunity to publicly recognize people and projects that have inspired you. Your nominations will be reviewed by our awards committee and the winners will be announced at LibrePlanet 2016. 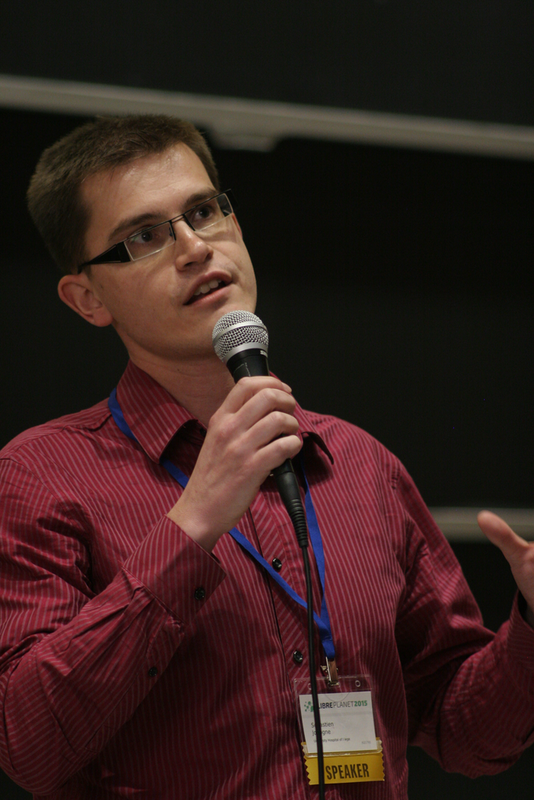 Last year, Sébastien Jodogne was recognized with the Award for the Advancement of Free Software for his work on free software medical imaging with his project Orthanc. We look to recognize projects or teams that encourage people to cooperate in freedom to accomplish tasks of great social benefit, and those that apply free software ideas and lessons outside the free software community. A long-term commitment to one's project (or the potential for a long-term commitment) is crucial to this end. Last year, Reglue received the award, in recognition of its work giving GNU/Linux computers to underprivileged children and their families in Austin, TX. The tentative award committee members are: Hong Feng, Marina Zhurakhinskaya, Yukihiro Matsumoto, Suresh Ramasubramanian, Fernanda Weiden, Matthew Garrett, Jonas Öberg, Wietse Venema, Vernor Vinge, Rob Savoy, Harald Welte, and Andrew Tridgell. Want to be in the room when the winners are announced? Registration will open soon for the LibrePlanet conference, March 19-20 2016, in Cambridge, MA. You can meet the award winners and take part in a program devoted to the world of free software. Remember: Free Software Foundation members attend LibrePlanet gratis!